Oh! These red velvet cream cheese jar cakes look beautiful and taste so implausible. This can be the perfect gift for your friends or for the love of your life! Why not to gulp it for your own consumption, It is actually tempting. 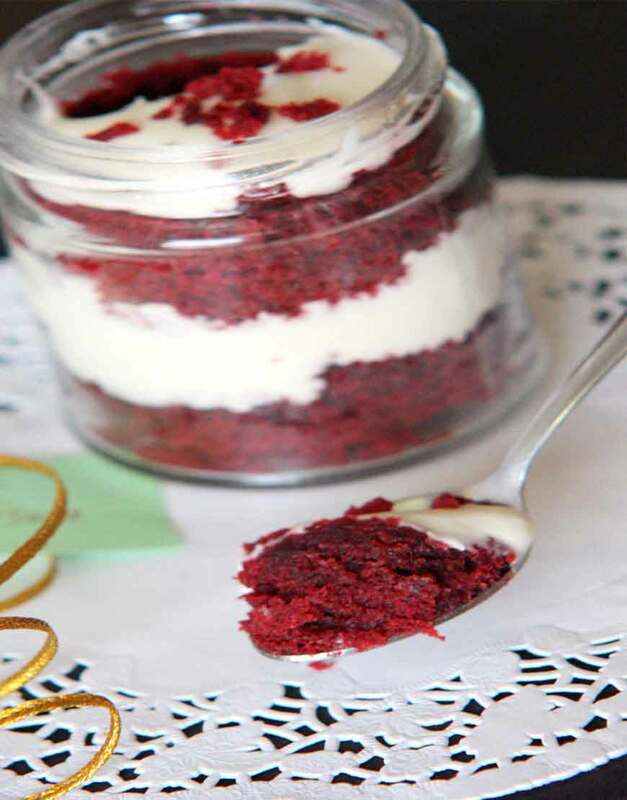 It gives a great pleasure when you make your way with the spoon through the coatings of soft, dense red velvet cake and cheesecake mixture and then gulp it into your mouth and mmmmm….isn’t it heaven! It tastes better than it sounds. Order cakes online in Gurgaon from your very own neighbourhood, that is right GurgaonBakers!